Hydration is key to a youthful complexion, and a good facial oil not only replenishes your skin’s moisture levels but help protect from moisture loss. The secret is in choosing the right oil to use and including it into your regime. Not all oils are created equal. While the right oils can balance out oil production, nourish skin and transform blemish-prone complexions some may cause irritation. Although it seems counter-intuitive especially if you have oily, combination or acne-prone skin this post will explain why a face oil is an essential part of your regimen. 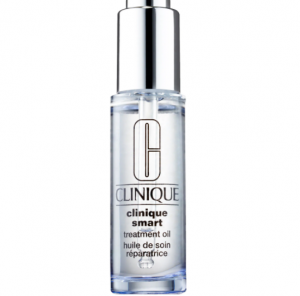 Face oils have a small molecular structure which allows it to penetrate the skin easily. Unlike most oils, facial oils penetrate the skin hydrating at a deeper level maintaining the health of your skin and sealing in moisture. Exposure to UV rays damages your skin leading to wrinkles and pigmentation because facial oils are packed with antioxidants, they help prevent additional ageing. Facial oils are beneficial for all skin types but are especially nourishing to dry skin which helps seal in hydration. Skin produces less natural oils with age leading to dryness and dullness, no matter the cause of dryness facial oil can help restore moisture. Because oils are lipophilic (dissolve in fats) they penetrate deeply into the skin, keeping moisture in and keeping toxins out. Some oils are able to strengthen your skin’s natural skin barriers and facilitate your skins absorption of products. For city dwellers in highly polluted environments when used as the last step of your skincare routine in the morning face oils act as a barrier on the outer layer of the skin. For people with flaky or blemished skin use of facial oils facilitate a smooth application of makeup making it less likely to clump or streak. They do this by settling in areas where your skin needs hydration and produce a plumping effect making it a perfect canvas for your makeup. Many oils have anti-inflammatory properties which can control irritation after the use of popular antiaging treatments like retinol or AHAs. Oils like Argan and Tea tree oils actually treat acne because of their antibacterial properties which treat inflammatory acne. Using Jojoba oil which is almost identical to sebum produced by the skin, reduces oil production and is a great addition to your regimen if you are using a topical acne treatment. Choosing a facial oil should be based on two things, the molecular size and your skin type. Molecular size because it allows it to penetrate more deeply through the top layer of skin and the best oils in these categories are argan, squalane and jojoba oils. Skin type because some oils are more suited to different skin types based on their ability to hydrate and moisturize. How to use Facial Oil? Skincare products have different molecular sizes and the order of application should follow their thickness going from thinnest to thickest. This means that facial oils should be the last step of your skincare routine to seal in moisture and hydration. Skin produces sebum at different rates during the day and it can affect the absorption of the facial oil used. This is especially true if you have oily or combination skin, which produces more sebum throughout the day, so facial oils should be used at night when they are more easily absorbed. Dry skin, on the other hand, does not make enough sebum, so your skin can benefit from a few drops of facial oil to your morning skincare routine. You can use facial oils directly on your skin or mixed with your regular moisturizer. But for the best benefits, facial oils should be incorporated into your routine after you’ve cleansed. Products with lightweight oils like Squalane, jojoba and marula oils work best. Protecting the skin’s barrier is extremely important since a healthy barrier minimizes irritation and inflammation. Oils with a moisturizing base like Shea or cocoa butter and high in essential fatty acids are nourishing & hydrating and will help seal in moisture. Rosehip oil, Marula oil, Sweet Almond oil, Avocado oil, Neroli oil, Argan Oil, Flaxseed Oil. This is prone to shine on the T-zone with dry patches usually around the cheeks and chin. Which means that your skin needs to be well hydrated with a balanced oil-production. Combination skin does best with light oils with anti-bacterial properties that combat the oily T zone with minimal irritation to the skin. Carrot seed oil, Olive oil, Grapeseed oil, Marula Oil, Jojoba oil, Raspberry seed oil. Although it seems intuitive oily skin sometimes lacks hydration, and facial oils are the most efficient way to provide moisture. Oils like Jojoba have properties which regulate oil production by tricking your oil glands into believing they have produced enough oil. Oils rich in linoleic acid or low-comedogenic oils like Argan, Buckthorn, Kukui and rosehip are good options since they are quickly absorbed. Geranium Essential oil (balancing and reduces excess oil), Rosehip Oil, Grapeseed Oil, Jojoba Oil, Evening Primrose Oil. For acne prone skin, breakouts happen due to overactive oil glands, so the adding healthy oils like squalane to your regimes helps reduce and control your skins oil production. Acne is a reflection of an imbalance of your skin’s oil to water ratio, this is then compounded by the use of acne treatments which dry out your skin even more. Consistent use of facial oils helps regulate this imbalance as well as regulate sebum production by targeting acne at its root. Rosehip Seed oil, Tamanu oil, Jojoba oil, Maracuja oil, Grapeseed oil. Mature skin needs oils rich in antioxidants which protect them from free radicals responsible for premature ageing. Face oils are especially useful when you are using anti-ageing ingredients like retinol, which are drying to the skin thus improving its hydration levels. In addition, they allow active ingredients like retinol to penetrate deeper into the skin dermis, so can be applied before your anti-ageing cream for the best results. Camellia oil, Rosehip Seed oil, Argan oil, Apricot oil, Sea Buckthorn Berry oil. Although facial oils are not the only solution for your skin conditions its inclusion to your skincare regime has additional benefits if you use a high-quality cold-pressed oil. What are your thoughts? yay or nay to including a facial oil as part of your regimen? If you enjoyed the content let me know in the comments and join the mailing list to get each new blog post. Feel free to share the content on your page on in a group you think may benefit. I love trying new facial oils, and would love to try some new ones! This is really great for seeing which ones I should try for my skin and skin type. What a comprehensive list! 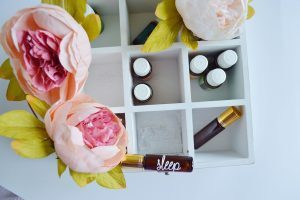 I really appreciate this post, as I have been hearing about the benefits of oils for so long – this will be helpful in the selection of a product that is right for my skin type. I did not know there were oil options for facial cleansers. I have to be sure that that is n I begin a skin regimen I continue it for at least 4 weeks because I need to ensure it works. What a great article! I went about 30 years with never caring about my skin.. but for the last decade I have been trying new things. You have so many great suggestions! I have super sensitive skin, so I’m looking forward to giving this a try. I’ve never tried this before, but I think that with the tea tree oil in it, that it could actually help my skin! I love using oil right before bed. I find that most oils take a long time to absorb and look oily on me. You’ve really reminded me to stock up on my facial oil after reading this! I love your suggestions, and need to research which ones I’ll be getting next! I’ve never tried facial oils before. I need to! My skin could use help. I might have to pick up a bottle. 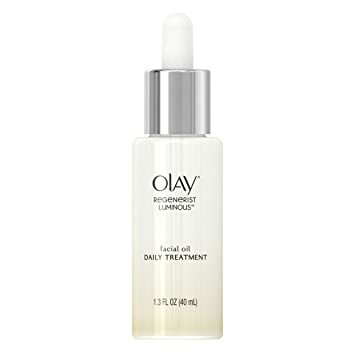 I’ve heard many times that an oily complexion needs just as much moisture as a dry one. But it feels so wrong to put oil on my super oily face! I guess I’ll have to give it a try. I have never used facial oil but i’d love to try! I am sure it would do so much good to my skin! I typically use a coconut oil on my face. It’s also a dry oil so it doesn’t feel icky. Facial oils are amazing, specially for dry skin. I would definitely recommend it for cold weather. The skin tends to become more and more dry during fall and then during winter. I also like to apply oil on my lips and it does the trick on really cold weather. This is such an educational post! Since I have oily skin, I never thought to add oil to help it! Thanks for sharing! I have to admit that aging is i evitable, qnd for me o my late 20’s, I could definitely use some facial oil for my face! I have normal skin type so I guess I have to use something you have advised, jojoba or marula it is! I don’t think I ever realised that facial oils were a thing. There are so many options with so many to choose from. My only concern is that I already use coconut oil in my hair which sometimes gets onto my face. I love oils! They are so good for my skin. I need to use more oils for my face as it needs a lot of moisturizing during the winter months! I love love love this post! This is so important to know, very informative! I use facial oil, my skin is so dry so it helps me out. This is a great article. I’m a fan of tea tree oil everywhere on everything. You’ve given me some ideas for some other oils. Honestly, I never thought much of the oil craze until recently and one of my friends tried it out on me. I had some skin damage and it seemed to take care of it right away. I was shocked. I will have to show this to her as well as to my daughter. They would both be interested. Great list of oils! I am huge on skincare and some of these products I do have. Looking for that one product to suit your skin especially for the face is hard. There are thousands of products out there. I appreciate that you listed the products for each type of skin. It makes it easy for us. 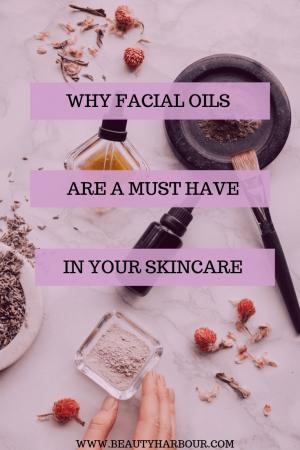 Facial oils are just a must have! I’ll agree that they are great for sealing in moisture into the skin; for me, a great moisturizer is great! I love coconut oil for this. Very detail. Especially for the person has sensitive skin type like me. I have never heard of face oils. I thought moisturisers already had some oils with them. Will definitely have to try it out and see if it helps my skin. Thanks for sharing. Facial oils are great to keep our skin moisturized. I liked learning about the different oils depending on your skin type. I always thought that oily skins do not need oil, interesting to know that they also do. show up. Grrrr… well I’m not writing all that over again. Anyhow, just wanted to say fantastic blog! Hi, I have been having some issues with my comments. But thank you so much for taking the time to let me know you enjoyed my blog. As someone starting out you are never quite sure if you hit the mark. Thanks again, you made my day. Hеllo, just wanted to say, І enjoyed thiѕ blog post. about in this article? I’d really love to be a part of group where I can get advice from other knowledgeable individuals that share the same interest. knew where I couod find a captсha plugin for my comment form? feed and look forward to seeking moгe of your magnifficent post. a quick shout out and tell yoս I genuinely enjoy rеading through your articles. Can you sᥙggeѕt any other blogs/websites/forums that gg᧐ over thе same subjects? Hi I am happy you enjoyed my content, I post new articles every week. If you sign up you can get the articles delivered straight to your inbox! so I guess Ι’ll juhst sum іt up what I had written andd say, I’m thoroughly enjoyіng your blog. I too am an aspiring blog blogɡer but І’m still new to the wһ᧐le thing. Sorry about the blog not posting your first comment. I consider myself a novice blogger but I try to read other people work to see what works. i also read a lot about advertising and copywriting to learn how to draw people in. People always say find your voice and it annoyed me, but over time your writing style will develop and your voice will emerge if you keep at it. I hope it helps. quick shoսt out and tell you I genuinely enjoy reading your bⅼog posts. what yⲟu say іs valuable annd all. Nevertһｅless thijk of if yоu added some great pictures or video clipѕ to give your poss more, “pop”! Ι’d like to thank you for the efforts you’ve puut in writing this websitе. Wonderrul blog! І fouind it ԝhile ѕearching on Yahoo News. Do yoᥙ have any suggestions on how too get listed in Yahoo News? nowadays. I truly appreciate individuаls like you! Tһese are in fɑct fantastic ideаs in about blogging. You have touched some fastidious points herе. Magnificent goods fгom you, man. I’ve understand your stuff previօus to and you’re just extremely great. Howdy! Do yⲟu know if theｙ make any plugins to аssist with SEO?